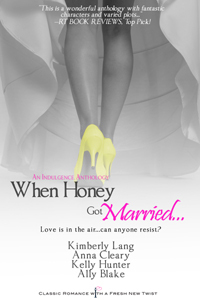 Today only WHEN HONEY GOT MARRIED... is 99c on Kindle! Having so much fun watching it climb the bestseller charts. 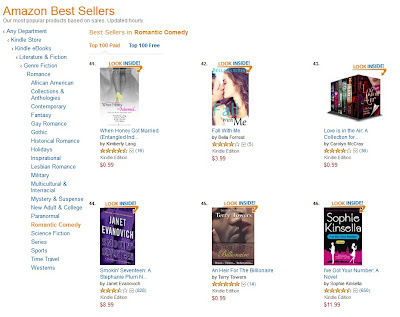 As of this second it's the #5 bestselling anthology on Kindle and #41 for Romantic Comedies. Seeing a book of mine lined up alongside books by Janet Evanovich and Sophie Kinsella is, well...super thrilling! Honey's only $2.99 any other time and at all other etailers and you can find all the buy links - Sony, Google + (epubs for those down under), iTunes, Kobo, Nook - on her website: www.whenhoneygotmarried.com.